Complaints of sexual harassment and sexual misconduct have dominated the news recently with allegations ranging from sexual threats, to groping, to sexual assault. While the allegations have made the news because they involve people in the entertainment industry and politics, it’s readily apparent from the thousands of stories shared using #MeToo that sexual violence and harassment remain a widespread problem. According to a recent poll, 30% of women in the workplace have experienced unwanted sexual advances from male coworkers. The persistence of harassment in the workplace is borne out by the increasing numbers of sexual harassment charges filed with the Equal Employment Opportunity Commission (EEOC). The EEOC reports that 12,860 charges of sexual harassment were filed with the agency in 2016, up from 12,573 charges filed in 2015. The numbers represent charges alleging sexual harassment and do not include charges alleging other kinds of unlawful harassment (based on race, color, religion, national origin, etc.). The EEOC and the courts define sexual harassment as unwelcome behavior of a sexual nature that explicitly or implicitly affects a person’s employment, unreasonable interferes with work performance, or creates an intimidating, hostile, or offensive work environment. Generally, the more severe and offensive the conduct is, the less frequently it must occur before it constitutes sexual harassment. Some courts have found that sexual harassment can occur with a single offensive act if the conduct is sufficiently severe, particularly when there’s physical contact. But less offensive acts, if repeated frequently, can add up to sexual harassment. Employers are strictly liable for sexual harassment by a supervisor if the harassment results in a tangible employment action (e.g., the harassed employee is fired or demoted). But if there’s no such action, an employer can defend itself by showing that it exercised reasonable care to prevent and promptly stop harassment and that the employee alleging harassment failed to take advantage of any preventive or corrective action provided by the employer. Employers recognize that harassment is costly in terms of monetary payments, disruption in the workplace, retention of good employees, and reputation. So, what can employers do to prevent workplace harassment? • Management sets the tone. A company culture that doesn’t tolerate sexual harassment—even when committed by employees who make big money for the employer or work at high levels in the organization—is the key to preventing harassment from occurring in the first place. • Encourage employees to come forward with complaints. Sexual harassment is underreported in the workplace for many reasons, including fear of retaliation, being labeled as a troublemaker, or having an allegation minimized (e.g., being treated as someone who’s “overly sensitive” or who “can’t take a joke”). • Create procedures. To help employees come forward with complaints, have a complaint procedure in place—make sure the procedure is easy to follow and understand, is communicated clearly to all employees, and provides options for employees to report harassment (i.e., don’t require employees to report harassment to their supervisors—who may be committing, contributing to, or ignoring the harassment). • Create policies. Have and enforce a sexual harassment policy that not only prohibits unlawful harassment but that also prohibits inappropriate conduct in the workplace—this allows an employer to take disciplinary action against an employee before his or her inappropriate conduct rises to the level of unlawful harassment—to nip the potential harassment in the bud before it becomes a legal problem for the employer. • Train ALL of your employees. Provide harassment prevention training to all employees, not just supervisors—employers are liable for harassment by coworkers if the employer knew about the harassment and failed to take appropriate action to stop it. If you’re thinking about starting up a small business or you’ve just recently launched, fantastic customer service is undoubtedly on your radar. You want your customers to come away from an experience with your company having seen you in the best possible light. In an optimal situation, the majority of them would not only become repeat customers but would also enthusiastically recommend your product or service to others. This, however, is easier said than done. Handling customer complaints can be difficult, especially right when you start a new business. However hard it may be to take criticism, it’s extremely important to the growth of your small business. Even if a customer doesn’t necessarily give you easy-to-swallow feedback, learning to see past harsh words and hear valid complaints and suggestions for improvement is vital. Don’t fret! Here’s what you need to know to handle customer complaints with ease. Starting a new business can be scary. Investing your time, effort, and finances into a venture that might not be a sure thing can be intimidating. However, customer complaints shouldn’t add any stress. Fear of failure is high on the list of reasons why people sometimes choose not to pursue great ideas. For some, criticism or complaints can be viewed as a failure—but they aren’t. They’re actually just the opposite; they are an opportunity to improve. Maybe you’ve heard horror stories from other business owners about “their worst customer ever,” but you should know that these types of scenarios are rare, though memorable. No matter what happens, remember, even when delivered unskillfully, your complaining customers are providing a treasure trove of information on how you improve your business and your customer service approach. If you view complaints this way, you’ll be able to better prepare yourself and your team for any challenging conversations. • Communication – While this may seem like a no-brainer, this is the most important factor in retaining good employees. Communicate on a regular basis your expectations, their successes and good work, barriers and challenges they face on completing the job, and how the day/project is going. Along with this is to LISTEN. 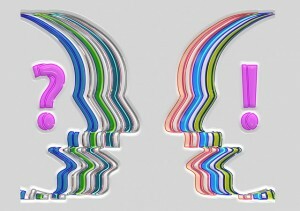 Hear what your employees are saying and take their suggestions in consideration. • Establish clear expectations and provide effective evaluations – Along with strong communication, setting up clear expectation of the job or a specific project allows the employee to complete the task without having to ask questions or assumptions. Evaluating on a regular basis allows the owner and the employee to address issues, reward great work and create a path for success. • Create growth opportunities – While this is harder with a small business, show a clear path for good work. Whether that means a different title, pay raises or different responsibilities, creating opportunities for growth in the business allows for employees to work hard and be able to advance if possible. • Have creative perks – Typically small businesses cannot afford the same benefits to employees as a larger corporation. But that doesn’t mean you can provide other incentives or opportunities for your employees to have a good work place. If you are a retail business, offer your employees a discount or a free piece of clothing every so often. Do you have an office where it’d be ok for your pets to hang out? Maybe there’s a pizza party when everyone meets their goals for the month. • And lastly, recognize good work. A simple acknowledgement and appreciation of a job well done goes a long way. Whether it is just a thank you or a financial incentive, appreciate your employees. The phrase “The customer is always right” was originally coined in 1909 by Harry Gordon Selfridge, the founder of Selfridge’s department store in London, and is typically used by businesses to convince customers that they will get good service at this company and convince employees to give customers good service. However, I think businesses should abandon this phrase once and for all — ironically, because it leads to worse customer service. Here are the top five reasons why “The Customer Is Always Right” is wrong. The Ohio Incumbent Workforce Training Voucher Program has made two substantial changes to the program in FY’17 that may affect eligibility. • An Applicant, including its Affiliated Entities, may only submit one application. The Applicant and Affiliated Entities will be responsible for selecting the entity that will apply and manage the project. • FY’17 (Round 5) awards will reimburse training that begins and is completed between January 1, 2017 and December 31, 2017. • Each eligible applicant will be eligible for up to $75,000 in assistance. • The following types of training will no longer be eligible training categories: ICD-10, HR certification, seminars/workshops/webinars, and Microsoft Office courses (this includes Outlook, Word, Excel, PowerPoint, One Note, Access, and Publisher). • Eligible training for Corporate Headquarter will be for the corporate headquarters staff only (employees that support the operation by providing information technology, human resource, or accounting services). • Only one user at a time may be logged in with a username/password. Should a second user log into the application with the same username/password, the first user will automatically be logged out. Businesses can begin the online process on September 26, 2016 and will have three weeks to gather the necessary information to complete their application. The online applications will be accepted on a first-come, first-served basis and can be submitted beginning at 10:00 a.m. on October 14, 2016. For additional assistance, contact Shannon Vanderpool at (614) 644-8560 or Shannon.Vanderpool@development.ohio.gov or Jennifer Spohr at (614) 466-4184 or Jennifer.Spohr@development.ohio.gov. The Ohio Incumbent Workforce Training Voucher Program (“Voucher Program”) is an employer-driven program designed to provide direct financial assistance to train workers and improve the economic competitiveness of Ohio’s employers. The Voucher Program is designed to offset a portion, via reimbursement, of the employer’s costs to improve the skills of its incumbent workforce. The Voucher Program will provide reimbursement to eligible employers for specific training costs accrued during the course of training. Eligible employers must demonstrate that by receiving funding assistance through the Voucher Program their business will not only obtain a skilled workforce, but will also improve their company processes and competitiveness. To be eligible for financial assistance, the following requirements must be met by both the employer and employee. EMPLOYER ELIGIBILITY – an eligible employer must operate as a for-profit entity in a state-designated targeted industry, with a facility located in Ohio that has been in continuous operation for the 12 months immediately prior to the application submittal. The company’s NAICS code (www.naics.com) will determine eligibility as to the targeted industry. A listing of eligible NAICS codes can be found on our website. Each Applicant will be eligible for up to $4,000 in reimbursement per each eligible employee per Fiscal Year and up to $75,000 in total assistance per Fiscal Year. The Voucher Agreement and any Supplements to the Voucher Agreement issued to an employer during the Fiscal Year, aggregated throughout all of its state of Ohio locations, will be included in this calculation. Please note that only one application per Applicant will be accepted per program year. If an employer has multiple sites or Affiliated Entities, those sites and Affiliated Entities must work together to submit one application. An application may include multiple employees and multiple training courses. Companies that received Voucher Program assistance in FY’15 (based upon FEIN) who utilized 33% or less of their award amount will not be eligible for assistance in FY’17. The same standard will be applied to future Voucher Program funding years (i.e. if funds are not utilized in FY16, that company will not be eligible for Voucher Program assistance in FY18, and so on and so forth). An Applicant, including its Affiliated Entities may only submit one application. The Applicant and Affiliated Entities will be responsible for selecting the entity that will apply and manage the project. The application should not include training for any entity that is not eligible for FY’17 funding. Eligible training for Corporate Headquarter will be for the corporate headquarters staff only (employees that support the operation by providing information technology, human resource, or accounting services). * Working at least 25 hours per week. Note: an employee who is employed in a retail/service function is not eligible for the Voucher Program. Training opportunities that expand and improve an employee’s workforce skills and develop his or her opportunities for growth or promotion within the company are eligible for the Voucher Program. The training provider is to be selected independently by the employer and/or employee (with employer approval) and may be a public, private or in-house trainer. While the effective date of the agreement will be January 1, 2017, any costs incurred or monies expended by the Applicant on the Project prior to final approval and the execution of the written Agreement, is done at the Applicant’s own risk. Applicant’s decision to go forward does not obligate the state of Ohio to provide state assistance that has not received all required approvals, or has not been memorialized in a written agreement between the applicant and the state of Ohio. Training must be completed by December 31, 2017.  * Wages of trainees while being trained. Please note that these costs must be prorated per employee and will be capped at 25 percent of the cost of training per employee per training. Must be requested and approved in the application to be eligible. This Voucher Program is operated as a reimbursable program. 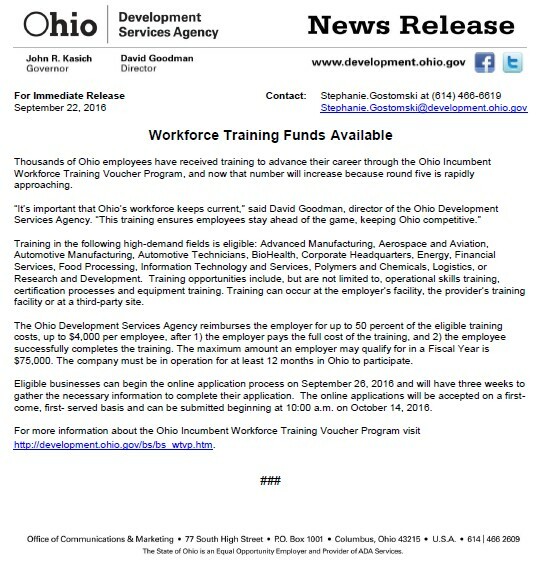 The Ohio Development Services Agency will reimburse the Applicant for up to 50 percent of the cost of the training (up to $4,000), after 1) the Applicant pays the full cost of the training, and 2) the employee successfully completes the training. Payment of the cost of the training by Applicant must come from private sources and cannot include any previously acquired public funds. The invoice for reimbursement may only be submitted after an employee has successfully completed the approved training. The Applicant shall submit invoices no more than once during each quarter of the grant period unless it is the final invoice. Funding approvals for this Voucher Program will be on a first-come, first-served basis. Once the training funds are completely committed, the Ohio Development Services Agency will hold subsequent applications in a “queue,” in the event that additional program funds become available. The Ohio Development Services Agency reserves the right to hold any pending applications due to the Applicant or its Affiliated Entities being delinquent or non-compliant under any other agreement with the Ohio DSA, or has any outstanding tax or EPA liabilities with the State of Ohio. Additional program information, including post-approval documents and processes, can be found at the following website: http://development.ohio.gov/bs/bs_wtvp.htm. Capitalized terms not otherwise defined in these Voucher Program Guidelines shall have the meaning given to them in the Ohio Incumbent Workforce Training Voucher Program Definitions FY’17. on January 7, 2016 at 10:30 a.m.
Happiness…it’s important to Americans – in fact, the unalienable right to search for happiness is touted in the U.S. Declaration of Independence: “…life, liberty, and the pursuit of happiness.” The document that represents the foundation upon which our country was built, calls out the importance of happiness – now that’s something. 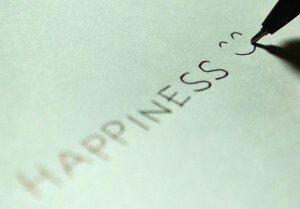 I won’t deny that being happy is important, and it sure does feel good, but is it all that matters? 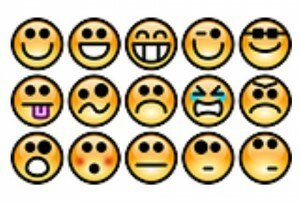 Is happiness the goal, or is it a byproduct of something more meaningful? From the time I was an undergraduate, and heard a political science professor talk about his experience as a young child in a Nazi concentration camp, I’ve been fascinated with the stories of Holocaust survivors. Hundreds of books have been penned by these remarkable people, and a recurring theme among them seems to focus on the survivors’ ability to find meaning, even in the most bleak and horrible situations. Teamwork, it’s not rocket science…or is it? Have you ever noticed that when we want to illustrate how easy something is, we compare it to rocket science or brain surgery? Ok, it requires years of advanced educational study and hundreds of hours of technical experience to master aerospace engineering or neurological surgery. But, truthfully, the average person will never need to become adept at either of these disciplines. Effectively working on a team and getting along with others – those are skills that are necessary for everyone. 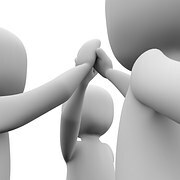 Unfortunately, embracing the abilities needed to be a good team member and build relationships with others is not always easy. In fact, it can be downright difficult – kind of like rocket science…or brain surgery. In a 2004 article in the journal Psychological Science, J. Richard Hackman contends that effective team members are people who possess the emotional maturity needed for their roles with their teammates. His research shows that fostering emotional maturity is essential; however, it is a trait that tends to be developmental in nature and cannot be readily taught. Well, you’ll get no argument here. In fact, while many institutions of higher learning offer degrees in neurology or engineering, we’ve yet to see a university that offers a degree in emotional maturity. Trust – Let’s face it, trust is the foundation of all relationships. Whether it’s with your spouse, your friends, your coworkers or your hair stylist, if you don’t trust the person, you’re not going to be willing to take the risk of being open, honest, and well, trusting. For a good team to work, we need to be able to count on each other. Building trust takes time – and dare we say, it also helps to have face-to-face interactions now and then. Social media and Skype are wonderful tools to keep in touch, but there’s just something about breathing the same air as someone else, and actually spending time interacting together at the very same GPS coordinate that helps to build a strong, reality-based relationship that goes beyond cute photos and 140 characters of type.